Why is this Buffalo State MS program called a “track in Multidisciplinary Studies”?  The Multidisciplinary MS program at SUNY Buffalo State has been in place for many years and allows students to obtain an Master’s degree, using courses from different disciplines. The Multidisciplinary MS track in Data Science and Analytics was created to meet the needs for data specialists across industries, and to create graduates who may serve in a wide range of professional settings. What is a Professional Science Master’s (PSM) Program? PSM Programs are Master degree programs that connect academia and industry. These MS programs approved by the Commission on Affiliation of PSM Programs follow a specific protocol combining in depth training in a STEM field, professional business skill training, and internship projects conducted on site with our community business partners. These non-thesis MS programs lead to graduates with highly employable skills, career growth opportunities, and professional satisfaction. Is this MS a PSM program? This program meets the required criteria of PSM programs, and we are currently applying to the Commission on Affiliation of PSM Programs for official recognition. SUNY Buffalo State has already been approved by the Commission for two other successful PSM programs on campus. What if my undergraduate degree was not in STEM? Our advisers will review your background to assess which course/s may be needed to prepare you for the program. What if I am missing a pre-requisite course? Can I still apply? Yes. If you are missing pre-requisites, you may be accepted as a Pre-Major.